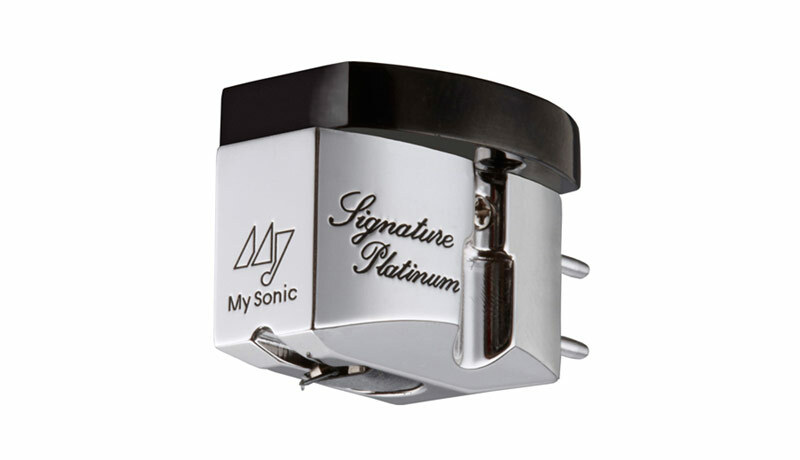 The flagship MSL Signature Platinum cartridge builds on the attributes of MSL Signature Gold. The listener will experience a more precise sound, with a greater sense of speed and superior responsiveness than with the gentler, perhaps more self indulgent Signature Gold. The sound provides pure emotion, outstanding fine-tuning, authority, balance and transparency with ease which will delight the listener and distinguish this pickup as one of the finest in the world. “When I describe or make a kind of conclusion on how I experience MSL Signature Platinum, it simply does everything better than any other pickup I have heard, it plays with a purity and dynamism that is simply difficult to describe. Dynamically speaking, it is a hydrogen bomb compared to all other pickups I have had in house and clearly sets a new standard. All other pickups I have heard are almost as if they have distortion in the sound picture compared to MSL Signature Platinum, but without it becoming anaemic. In the vast majority of cases, super analytical pickups become very anaemic in the mid-range and sound simply cold and unmusical, a bit like a good CD player. But MSL Signature Platinum sounds vibrant and lively in the mid-range. It’s as if it is bursting into the wild cloud with unlimited dynamics and resolution and the whole sounds just looked great in the absence of any better expression. It seems that it digs deeper into the grooves and brings out more details and, not least, presents them in a new way I have not heard before. This with the lack of distortion in the sound causes the dynamics and the juice and the power of the bass to be so good that I can say nothing but that I have never heard better, it is a vitality and clock-forest power that makes my hook just Dangling with a sheepish grin then causes the head to be almost thrown backwards during the next dynamic discharge. It is as if the entire sound image has doubled or tripled its power resources. It all surpasses everything else I have heard before and is without a doubt the pickup that comes closest to my sound ideal. It’s like made for me and my taste. It sets a new standard in almost every area it is possible to set a new standard for a pickup. If MSL Signature Platinum had cost twice what it does, I still have given it my warmest recommendation, simply because it presents some ground -breaking, and that in my opinion, it is not possible to get a better pickup today. As of today August / September 2017 compared to all other pickups I have tested in my life, MSL Signature Platinum appears to be almost inexpensive when comparing performance and price. It’s just so much better than anything else I’ve tried. One big problem for the undersigned is that I have to zero myself. All I have thought to have been top performance until now needs to be downgraded a notch. Or two. I dare say that most pickup manufacturers have now gotten a giant cannon shot for the bow, and that they now have to deliver something exceptional if they are to stay in the top class. Boiling soup on old nails does not last any longer. In fact, I would say that with MSL Signature Platinum, a new era starts with pickup performance. This is the new reference in my opinion, simple and straightforward”.